If you hold an ultraviolet light (or a black light) over a bottle of tonic water, this ingredient makes it fluoresce. The FDA limits the contents of this ingredient in tonic water to 83 ppm (parts per million). 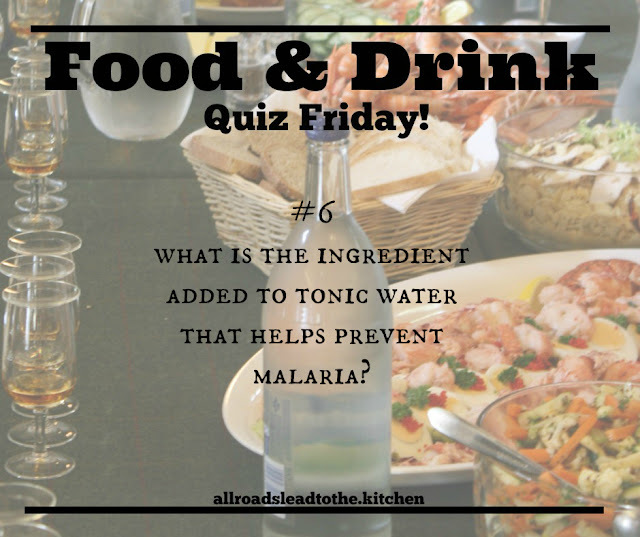 Answer to Food & Drink Quiz Friday #5: Almonds!